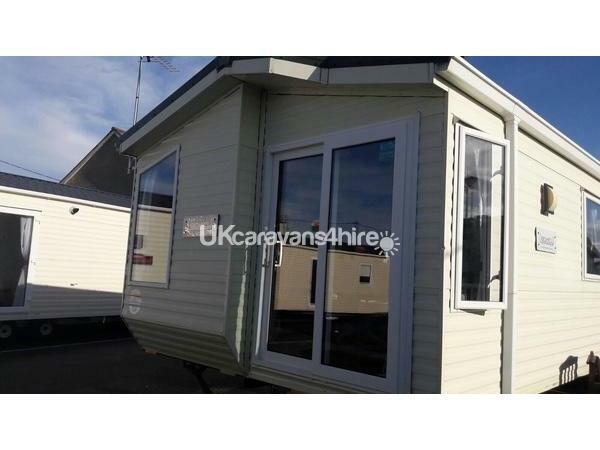 The caravan is Situated at the front off Golden Gate with it's own car parking space. The caravan is 2 mins walking distance from the amusements bars and restaurants, laundrette and a hair and tanning salon. also within distance of Rhyl. 5 mins down the road there is a market that is on a weekend, a fair park and a bus stop just up the road to Llandudno. There is also a indoor swimming pool in the process of being made for 2019 season. 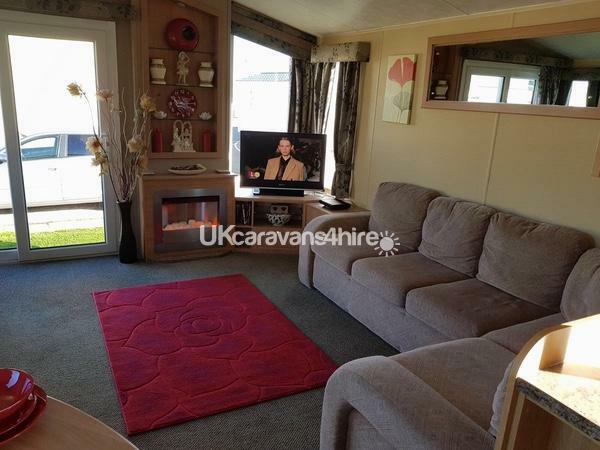 Additional Info: There is also a hair salon and a tanning shop and a beach at the back end off the caravan site. Had a lovely stay, caravan is beautiful and well looked after. Brilliant communication with the owner. 2nd year running we have stayed in this caravan over the Christmas period so we can be closer to family for the festive holiday. 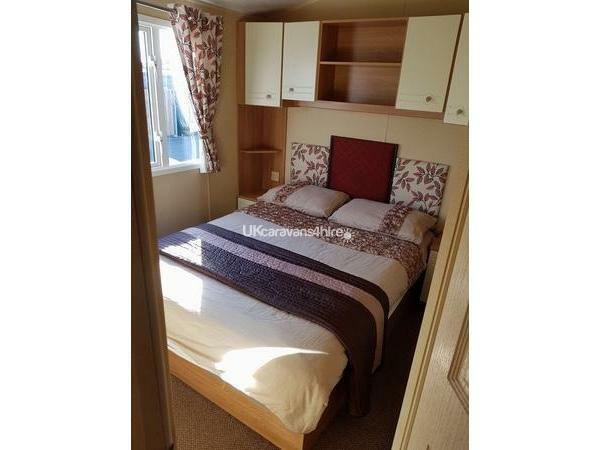 Stacey is very organised , the caravan is lovely, spacious and clean, and has all the facilities you need. It is also very warm in the winter too with the heating and gas fire in the living room. Great location, will come again. Thank you . We had a lovely stay, caravan was lovely with all the facilities you Need. Great communication from owner. This is the second year running we have used Stacey’s caravan. The van this year is upgraded. It was a beautiful van and so much extra than normal hire vans. It really was a home from home. The van was spotless and the site very safe and close to all the fun yet so quiet and peaceful. We would highly recommended booking with Stacey. You won’t be disappointed. Thank you Stacey for providing a great place to spend our weeks summer holiday. Lovely caravn, stacey was lovely and always helphes with ant questions replying quickly to all messages, deposit was returned quickly. Great acces to the beach and surrounding arcades and entetainment not far from knightlys fun fair. Only downside there was no pool acces but are building one :). Had a lovely break with my Grandparents. The caravan was very clean and spacious and had everything we needed. The location was near to all the main entertainment in Towyn and also very close to the bus stop into Rhyl and Llandudno. It was very easy to book and really cheap for the entire week mid season. Great van in a great location. Be great once the swimming pool is built on the site. Only thing that brings the score down is the lack of facilities on the site itself but the van was fantastic. Hi stuart, am glad you liked our van, and thanks for renting and looking after it. Only thing is Judging by the comment I’m assuming there has been a mix up with scores between cleanliness and facilities as the scores and comments contradict if possible and that’s the case could this be amended by your self please? Thank you. Stacey. 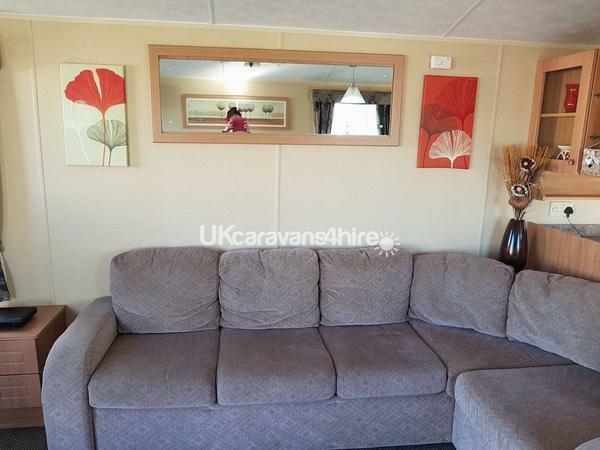 Very clean and tidy caravan. Value for money. Owner more than helpfull with everything. Always happy to help with anything she can... stayed a few times. Will defo be staying again.. Fantastic caravan and owners. Very friendly and helpful. Well recommended perfect for a ages. Stone throw from everything. The only downside is we was only there the weekend! Excellent weekend with my daughters and 2 grandchildren. Sufficient space for us all lots of storage . 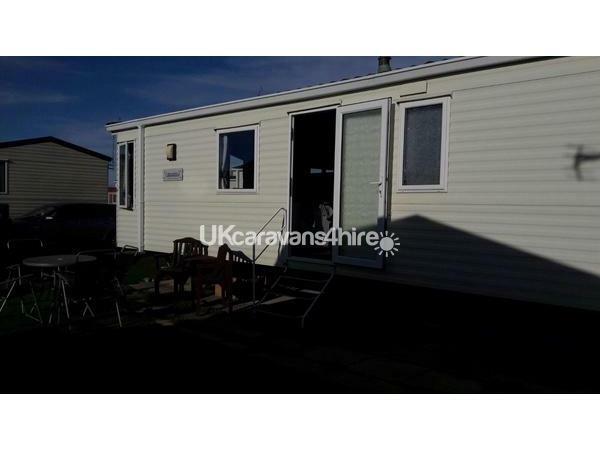 Spacious caravan well maintained and spotlessly clean. Nice patio area with garden furniture which came in very handy for the afternoon sun and nice glass of wine. Great location, Would book again and would highly recommend. Thanks Stacey. 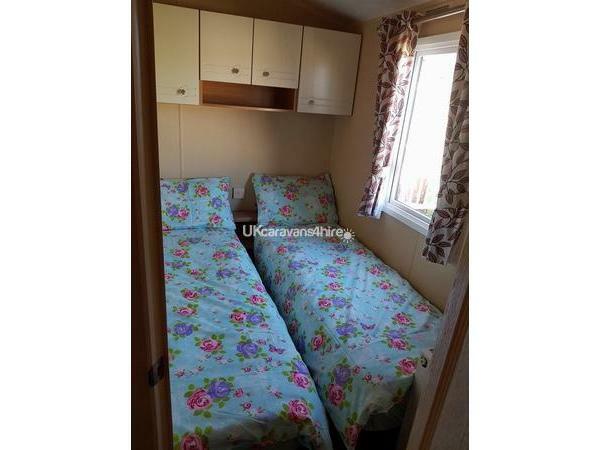 Had a lovely stay at Stacey's caravan over Easter bank holiday nice and spacious caravan loads to do on the site for the kids. Would definitely return. Kids thoroughly enjoyed them selves. We stayed here over the Xmas period, family of 2 adults, 2 boys and 2 dogs. 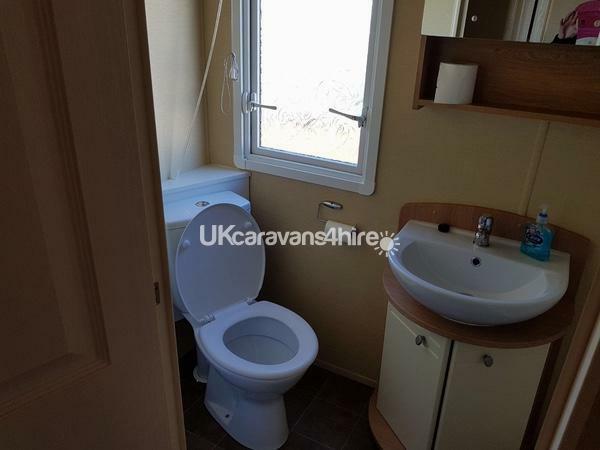 Very clean and spacious Caravan. Fully equipped with everything you’d need, Stacey was fab at communicating with us whenever we needed., would definitely use this Caravan again. This was our 3rd booking. We have enjoyed each stay. The van has everything that you need for a relaxing stay. It is close to pubs and places to eat. It has a great chippy on site. We will book again later in the year. Our first stay in a caravan, it was clean, cosy, anything you would need except toiletries and towels. We brought our dog and paid £100 deposit (£50 for the dog) which was all refunded after we left. Amazingly fast responses from Stacey anytime we went emails from start to end. We only went for 3 days and am grateful that she broke up her full weeks to fit us in. Would definitely go back. Fabulous family accommodation! Very clean & roomy and made my stay feel like home from home. Highly recommended. Good spacious accommodation. Lacking a few minor essentials. Take photos of any damage and let owner know immediately upon arrival other wise they are blamed on you when actually they have nothing to do with you and owner not prepared to listen to you. Out of 12 reviews only person to lie about damage, tried to accuse the cleaner of putting burnt bedding on the bed. No chance. 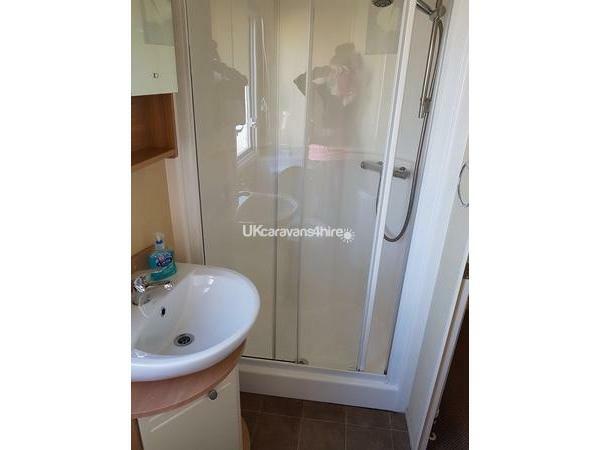 Overall a lovely caravan and well maintained close to all the shops/beach and pubs,ideal for younger kids as the walk to the beach is only five minutes.Everything you need is supplied bar toiletries we will be booking again excellent week. 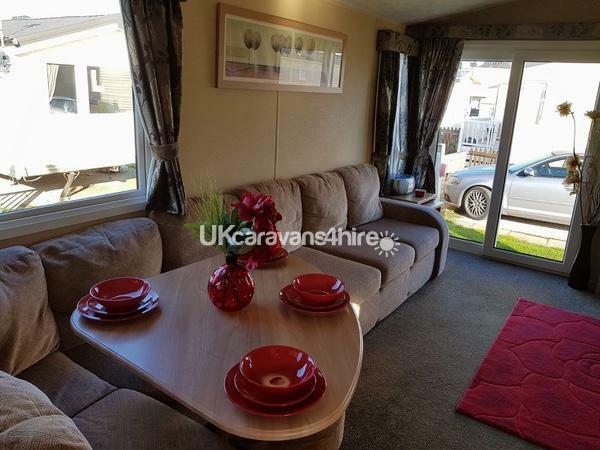 A lovely spacious caravan. The owner was very informative and dealt with all questions. Good location. 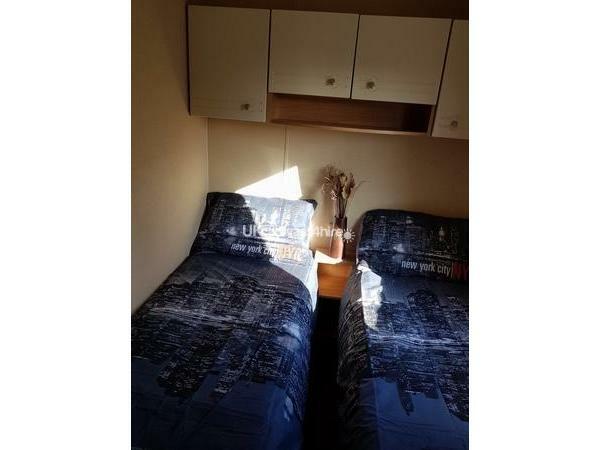 Comfortable caravan very clean had a lovely holiday stay & would stay again.Good communication between owner and ourselves and deposit quickly returned. In easy walking distance to reach of everything you may want or need. We had a great week. Caravan was clean and had all that we needed. Lots of pubs and cafes for food and drink nearby. Will book again. 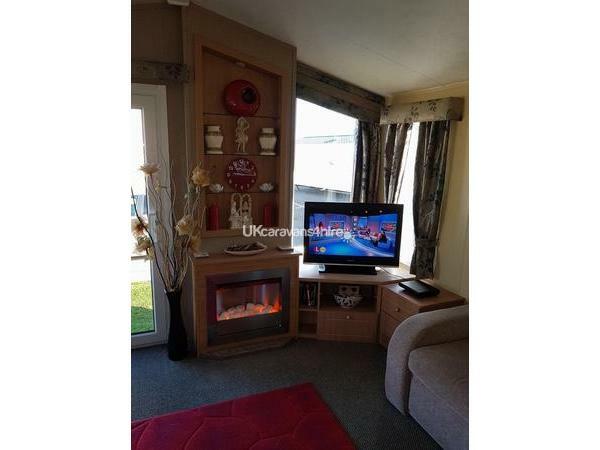 lovely caravan, spotlessly clean, spacious, second time holidaying in this caravan,and I'm sure it will not be the last. 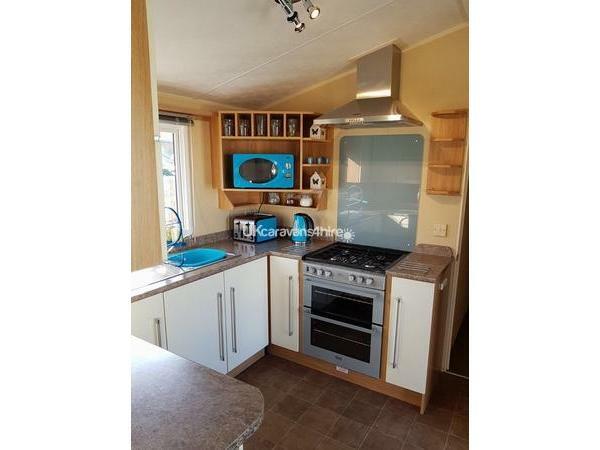 This is a very clean and tidy caravan, we had a lovely week with plenty to do, the owner was very helpful and very prompt returning my deposit.